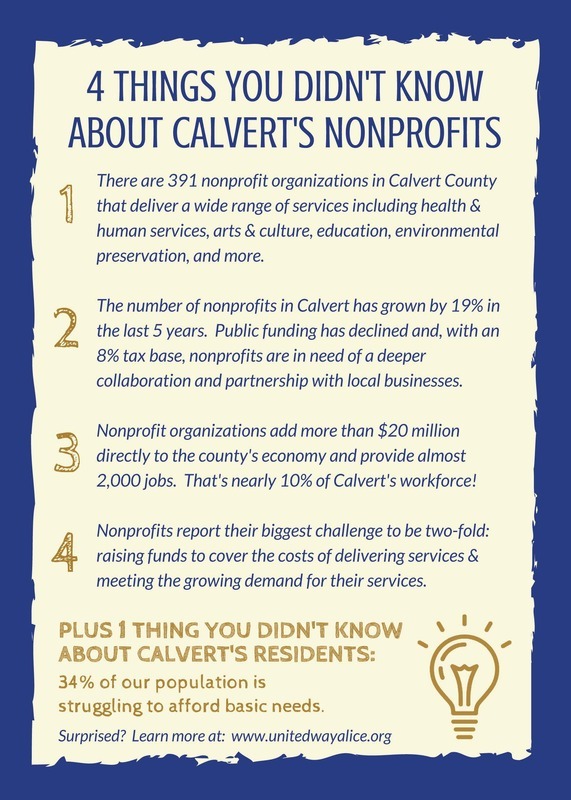 The not-for-profit sector is an essential partner in the Calvert County business community. The Calvert County Chamber of Commerce has formed the Chamber Non Profit Alliance in 2015 to foster working partnerships between the Alliance and the for-profit sector. 1. 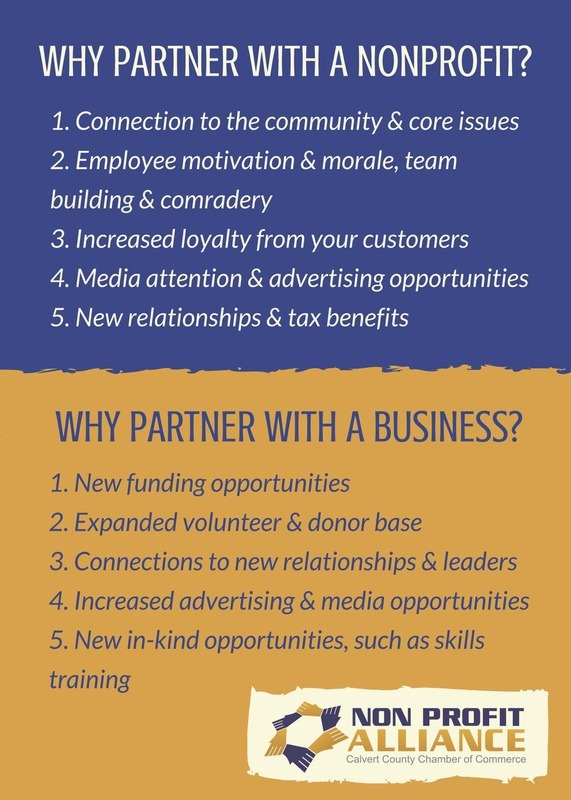 Partnerships: Monthly meetings highlight partnerships between non- and for-profit businesses, locally and regionally, with the goal of future collaboration. 2. Workshops: Quarterly workshops inform members about best practices on important issues fundraising, volunteer recruitment and retention and budgeting. 4. Legislative Priorities: Outlines NPA legislative priorities for the General Assembly and the Calvert County Board of Commissioners, including abolition of personal property taxes and other initiatives; im-proved transparency of how/when/why funding is granted. 5. Recognition for Non-Profits: the Alliance works to increase acknowledgement of the work of non-profits in the county via “Nonprofit Celebration Day”, a presentation to BOCC and other elected officials, etc. Photo on this page is courtesy of Shannon Mulhern.